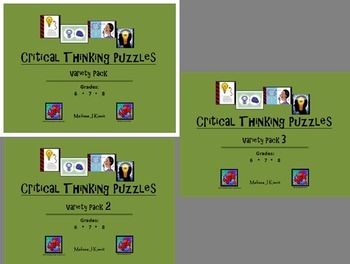 Critical Thinking Puzzles: Variety Bundle for Middle Schoolers: Twelve pages of fun puzzles guaranteed to help your learners become better critical thinkers. 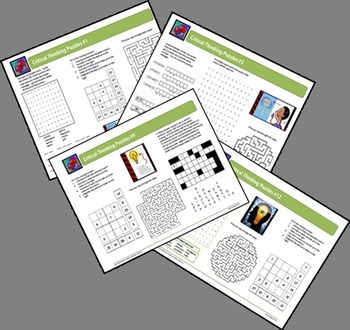 Each set includes a variety of different puzzles. BEST VALUE!! May be distributed to students by individual teachers. Perfect for 6th, 7th, 8th grades and homeschoolers. Thank you for visiting my store! Please follow me to receive updates on my new products!